i found these little beauties while perusing Tabitha's blog. but it doesn't end with pretty dresses that i couldn't possibly justify buying. 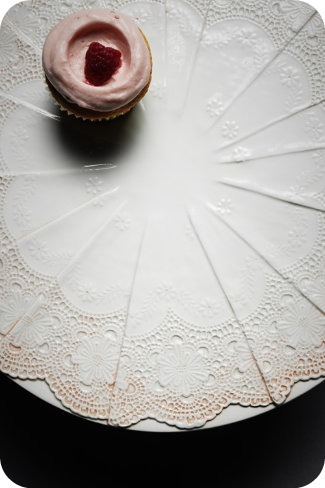 i currently have quite the obsession with doilies and platters and this is the best of both. I like the second dress style, but not the color. My current love? Peace and quiet. Do they sell that on Etsy?